It was an amazing experience. If I had the chance to go back again, I would! 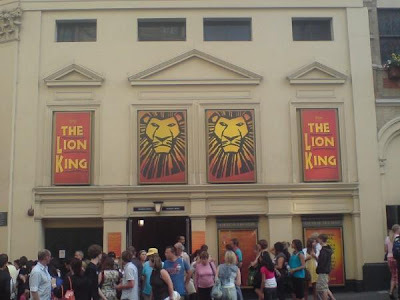 I went there for a college trip to watch the Lion King in the theatre. We stayed in the Royal National hotel for 3 and a half days. I think London is beautiful and I do want to visit it again in the future. love your outfit!! i need a pair of red flats..
Nadalyn thank you, red flats are cute :).